Dust bunnies, slippery floors, rolled ankles be gone – book a court rental at Solid Rock! We boast four, full-sized, maple wood basketball courts that are kept clean and in top-notch condition! Solid Rock Basketball takes great pride in keeping our courts and facilities in fantastic condition. Whether for practice, training, workouts or games, we know that the court condition can affect the quality of the experience. Here at Solid Rock, we want to provide a place for high-quality activities to take place. When you arrive at Solid Rock Basketball for your reserved court rental time, you will be directed to a court. 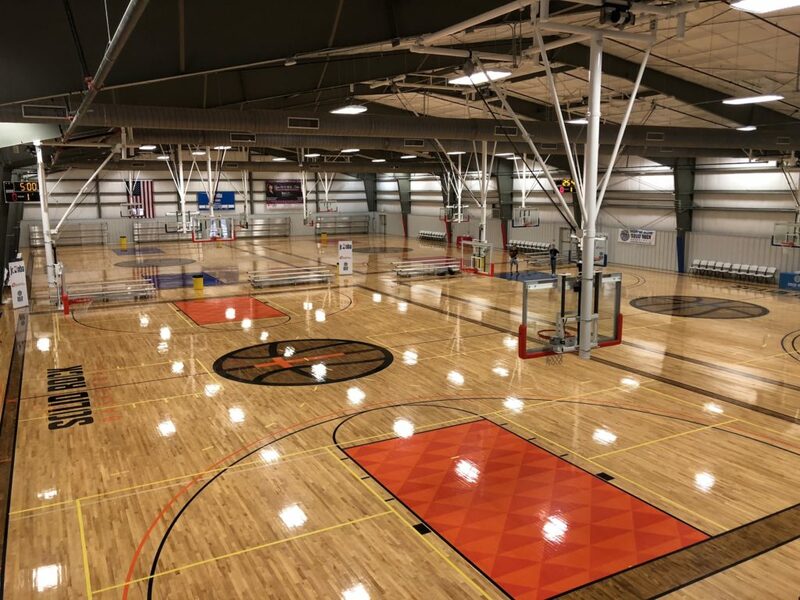 For alternate time options (such as day time rentals) or for half court rentals, please contact our facility rental coordinator Cisco Hukill at cisco@solidrockbasketball.com or 405.697.5242.